Warning labels, hazmat labels, operating instructions, serial numbers, Company logo, contact information, service and repair labels: These are all important components of your product. AGE Nameplate delivers brilliant designs, lasting quality, and visually superior labels. 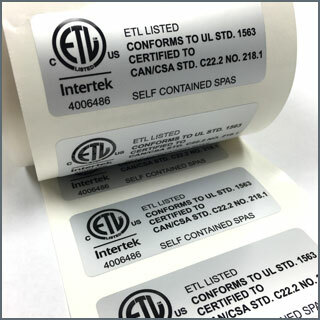 UL labels, ETL labels, CSA Labels, serialized labels, printed metal nameplates, decals and security stickers on rolls or in sheets. At AGE Nameplate, it’s your choice! AGE Nameplate prints on vinyl, glass, metal, paper, polyester and polycarbonate using digital and silk screen processes. 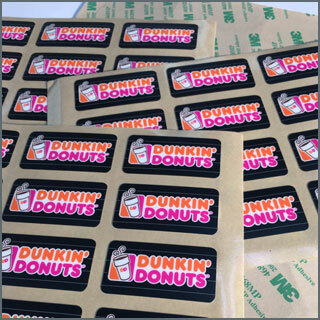 We even add backing materials such as foam board and adhesives. Go to market more efficiently! 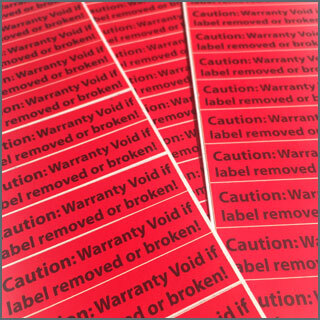 Take advantage of our short-run roll-labels…Perfect for beta testing or early production! The heart of technology at AGE Nameplate: An innovative spirit and a “can do” attitude are the driving forces that have engineered thousands of custom Labels and Nameplates over the past 40 years. Go ahead, push the envelope: Nothing is too complicated for us! © AGE Incorporated, all rights reserved.